Katie Fyfe | The Journal Gazette Vehicles line up along Mildred Avenue to pick up children from Franke Park Elementary School. Katie Fyfe | The Journal Gazette Kim James, a case manager at Franke Park Elementary, checks which students’ parents are waiting by looking at placard numbers in their vehicles. 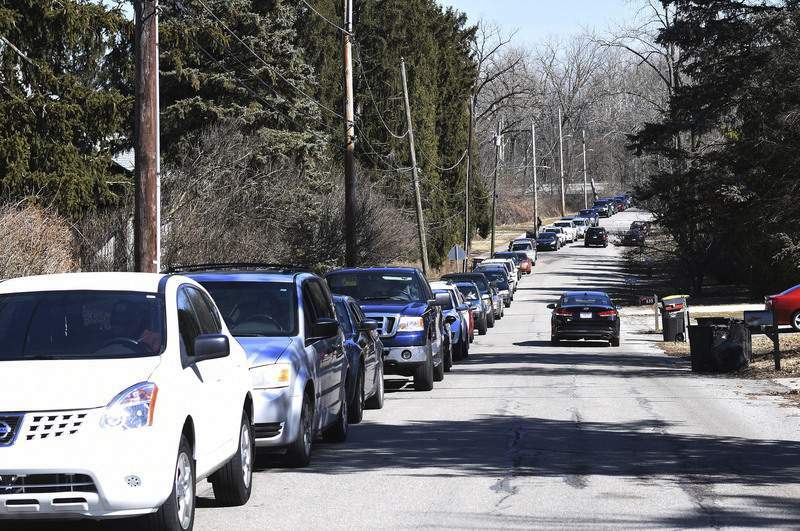 Katie Fyfe | The Journal Gazette Franke Park Elementary School pickup line goes all the way down Mildred Avenue to Wells Street on Tuesday, March 12th, 2019 in Fort Wayne. Katie Fyfe | The Journal Gazette FWCS purchased property 720 Mildred Ave. for the flexibility to create a parent pickup lane for Franke Park Elementary School. The car line runs from the school driveway all the way down to Mildred and sometimes as far as Wells Street. 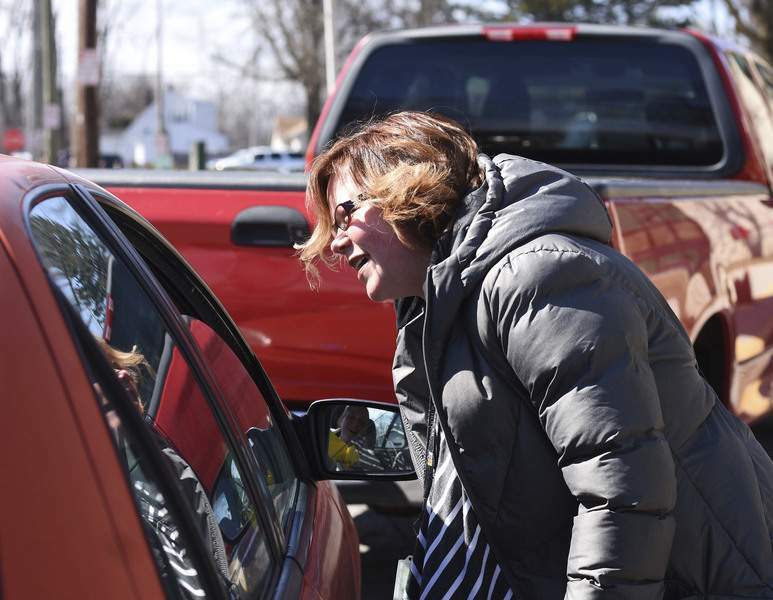 Katie Fyfe | The Journal Gazette Kim James, a case manager with Franke Park Elementary School, checks which cars are lined up by looking at the yellow placard numbers in parent's vehicles on Tuesday, March 12th, 2019 in Fort Wayne at Franke Park Elementary School. The car line runs from the school driveway all the way down to Mildred and sometimes as far as Wells Street. Katie Fyfe | The Journal Gazette FWCS purchased property 630 Mildred Ave. for the flexibility to create a parent pickup lane for Franke Park Elementary School. The car line runs from the school driveway all the way down to Mildred and sometimes as far as Wells Street. 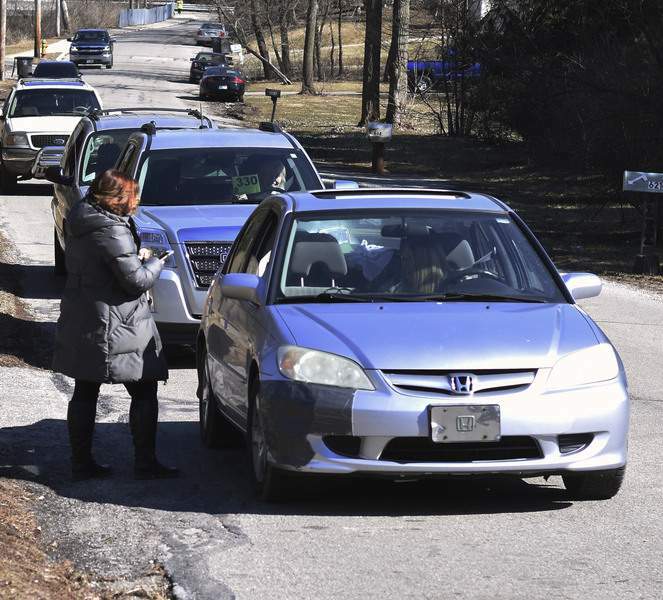 Cars start lining Mildred Avenue outside Franke Park Elementary School to pick up children about 12:45 p.m. weekdays, even though dismissal isn't until about 3 p.m. The early arrival ensures they can nab one of the few spots in front. Across town, cars at St. Joseph Central Elementary School pack a campus pick-up lane as Principal Bill Critell dons a neon yellow safety vest, preparing to help vehicles quickly and safely exit onto St. Joe Center Road. A couple waiting for their 6-year-old daughter said they choose to drive the kindergartner because they worry what might happen on the school bus. They don't mind the time investment. “She's our world,” they said, declining to provide their names. 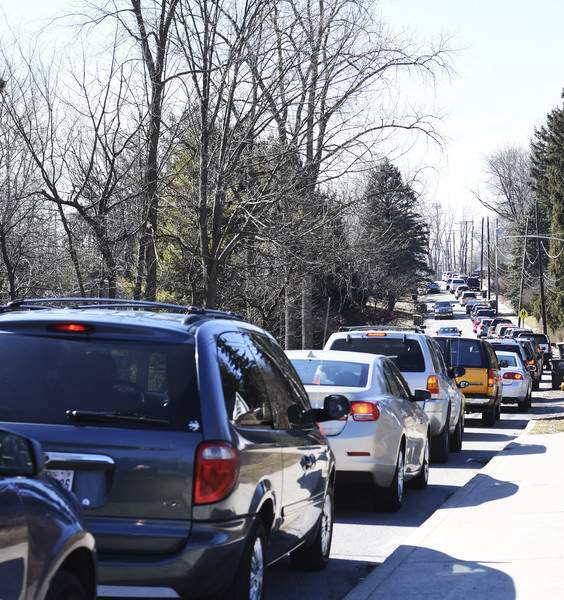 Managing dropoff and pickup traffic is an issue Allen County schools face as numerous reasons – including after-school activities, family situations, a lack of busing and personal preference – prompt parents to drive their children to and from school. Fort Wayne Community Schools and other districts have addressed campus traffic flow by installing parent pickup lanes and re-striping parking lots, among other methods. “In the past 18 years, some type of traffic improvements have taken place at all of the schools, and often more than once,” facilities director Darren Hess said by email. The National Center for Safe Routes has studied trends in how students get to and from school. Data compiled from 720,000 parent surveys collected by nearly 6,500 schools nationwide showed car ridership rose between 2007 and 2014. Morning car riders increased from 49.1 percent to 51.5 percent, and afternoon riders grew from 40 percent to 45.9 percent, the center's 2016 report said. Concerns about bullying on school buses and a reduction in bus service might have contributed to the increase in car riders, the report said. The findings don't necessarily reflect travel patterns at schools that didn't participate in the survey. Of the nearly 30,000 students in FWCS, about 16,000 ride buses, according to the district. It does not track the number of car riders. Kim James has seen the effects of busing cuts firsthand. The case manager at Franke Park works the car line, which can stretch about a quarter mile to Wells Street from the school's driveway near the intersection of Sherman Boulevard and Mildred Avenue. The count at Franke Park can vary by day, but James generally sees about 120 cars, she said, adding that the total increases in winter. She said the line grew after FWCS reduced busing in the 2015-16 academic year because of funding. Developing the most efficient system took trial and error, James said. The setup includes having children wait inside the school until their ride is near the entrance. Although the line moves quickly once students are released – 80 cars went through in about 10 minutes on a recent Monday afternoon – it can affect traffic on Wells Street and block driveways and fire hydrants along Mildred Avenue. Schools can have limited traffic management options, depending on the campus layout, Maze said. While schools may hire off-duty officers to direct traffic, don't expect the police department to assign personnel at “each and every school,” Maze said. “We don't have the manpower to be able to do that,” he said, recommending that drivers be patient and adjust their routines to avoid school-related traffic. Because a school's location and campus layout affect traffic pattern options, each school's situation is unique, officials with the East Allen County and Southwest Allen County districts said. Southwest Allen County Schools continuously monitors traffic patterns and adjusts when necessary, spokeswoman Stacey Fleming said. Carpool rules are introduced at Back to School Night and revisited throughout the year through mass emails and newsletters, she added. Hess, the FWCS facilities director, said the best school site separates three types of traffic – parking, buses and parent pickup. “Our preference is to drop off kids (buses and cars) directly onto a sidewalk that has a curb and avoid students crossing between buses or cars,” Hess said. Creating the ideal traffic flow isn't always possible. Challenges include limited acreage; one-way streets; the orientation of the existing building on the site; and the orientation of the existing site, adjacent roadways and neighborhood access points, Hess said. 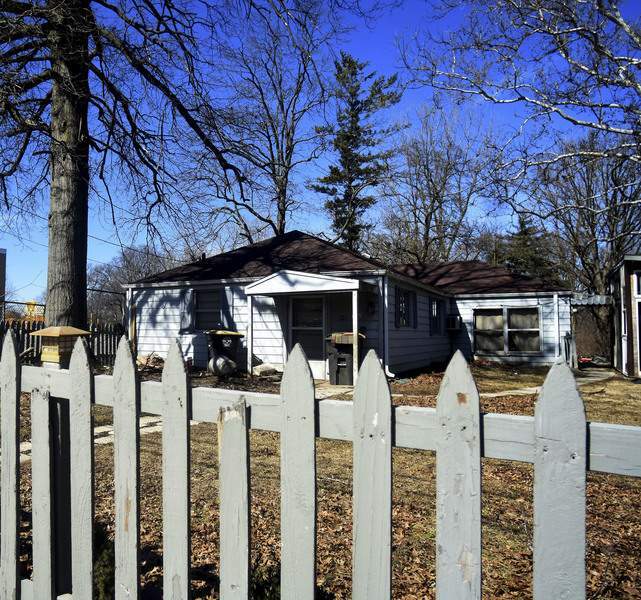 The FWCS school board in January approved buying two properties near Franke Park, 720 and 630 Mildred Ave. The $185,500 investment – funded by the 2016 referendum – will allow flexibility to create a parent pickup lane. Similar traffic improvements are planned for Scott Academy, South Wayne Elementary School and Haley Elementary School. Full parent pickup lanes have been installed at Holland, Croninger, Glenwood and St. Joseph Central elementaries. St. Joseph Central's driveway starts as two lanes but expands to three and accommodates more than 200 cars arriving for dismissal. Previously, cars would snake through the parking lot, which could fit about 100 cars, said William Critell, the principal. 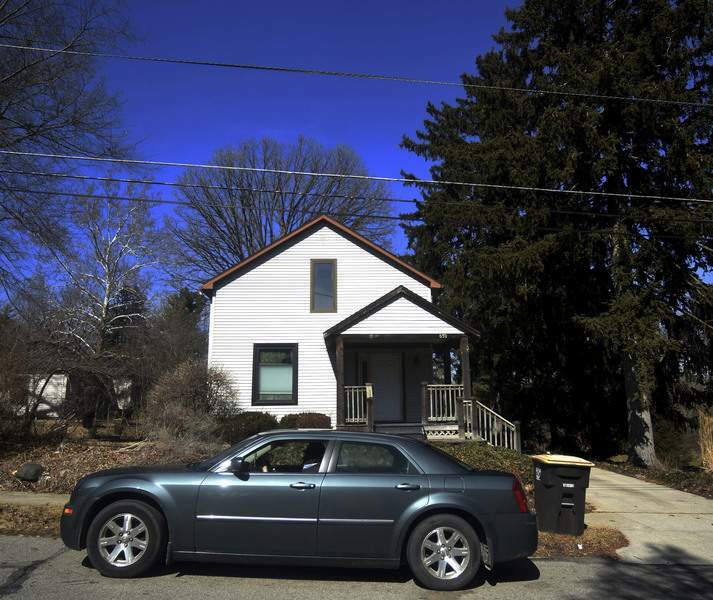 “The drive was a godsend,” Critell said. East Allen County Schools has also made traffic-related improvements a priority during recent construction projects. Leo and Southwick elementary schools both benefited from upgrades, which addressed different problems at each site, said Kirby Stahly, chief financial officer. Leo Junior-Senior High School is also in line for traffic relief. Construction of an additional exit drive – a project that involved acquiring nearby properties – is planned for this summer, Stahly said. Leah Beltran is among the parents making use of the St. Joseph Central pickup lane. 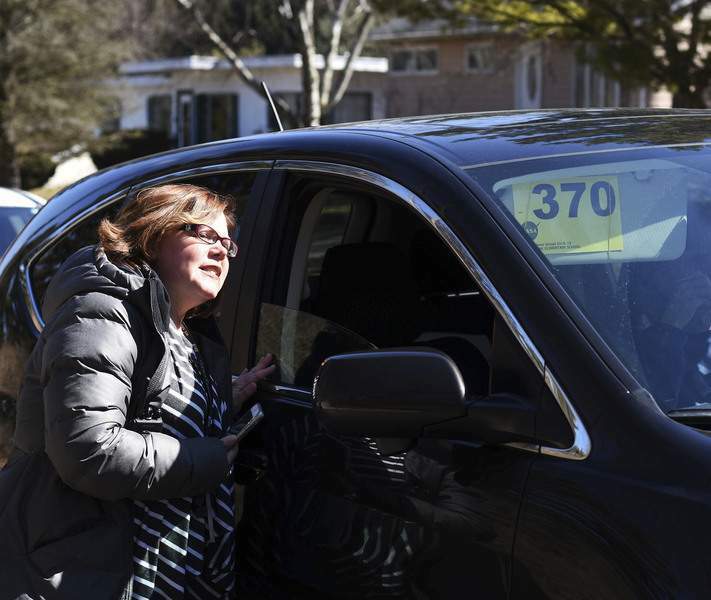 Her family lives too close to the school for her kids to be bused, she said, but added that she prefers to drive her kindergartner and fourth-grader anyway. Beltran views the minutes waiting for dismissal as her “me time,” she said, adding that when she gets in line depends on when she leaves work. She could kill time at a nearby store, she said, but prefers to watch videos or read books in her car. Minutes before dismissal, Critell sets orange traffic cones between the westbound lanes of St. Joe Center Road to create what he calls a merge lane for parents. He stands in the road, at the school driveway entrance, to ensure that exiting vehicles turn right as traffic approaching the school remains in the left westbound lane. It's a routine Critell follows to prevent traffic backups on campus. “I'll stay until the last car,” he said. A few police cars whizzed by Critell, a “slow” sign tucked under his arm, on a recent Tuesday afternoon. While his actions aren't criminally wrong, he or FWCS would assume a civil liability should anything happen, Maze said. “I understand what he's trying to do,” the lieutenant said. Walking to school seems to be gaining popularity, at least according to the National Center for Safe Routes study. Between 2007 and 2014, morning walkers increased from 11.5 percent to 15.2 percent, and afternoon walkers grew from 15.2 percent to 18.1 percent. “Within one mile of school, the largest shift between travel modes occurred between busing and walking, with busing decreasing significantly and walking increasing significantly,” the report said. Walking, however, isn't always an option. Some East Allen County schools aren't in an urban area, Stahly said. Even in Fort Wayne, a lack of sidewalks can make walking to school difficult for those in no transportation zones. Students are not eligible for busing if they live within a certain radius from their school. Distances are 1 mile for elementary students, 1.5 miles for middle school students and 2 miles for high school students. The city is working to build more sidewalks with a priority on major thoroughfares, said Shan Gunawardena, director of public works. Sidewalk projects can be complicated because they can involve buying right of ways, relocating utilities and addressing drainage issues, he said. Costs also add up. Gunawardena said a list of sidewalk needs the city developed with FWCS exceeded $70 million.